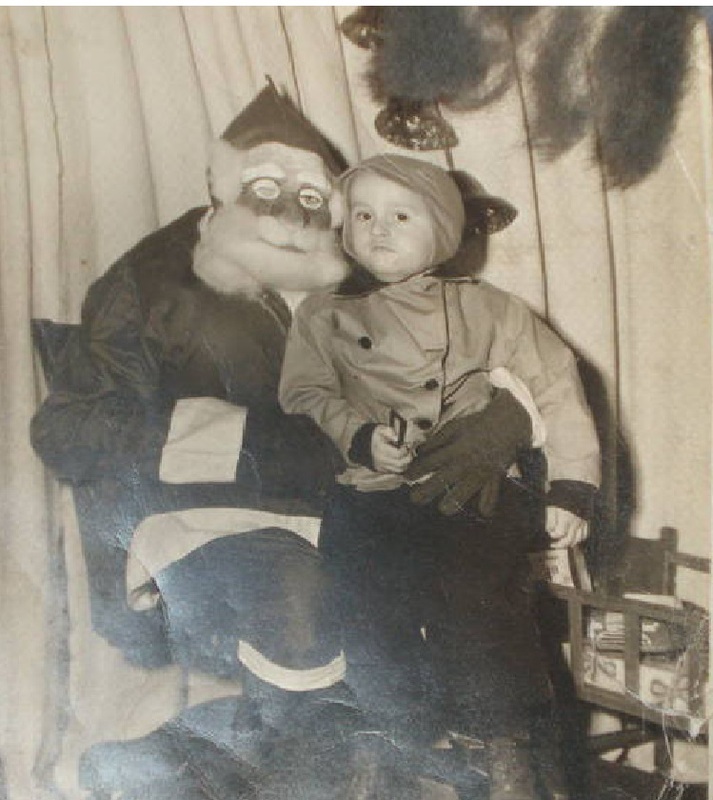 Santa gets mixed reviews across the evangelical fruited plain. Heaven knows, in the world of missions Saint Nick evokes a variety of responses. Some love him. Some fear him. Some hold him in contempt. Some don’t let their kids believe in him. Me? I am very supportive of any jolly person who brings gifts to good people and lumps of coal to the bad ones. That’s just a refreshing dispensation of justice in the world. 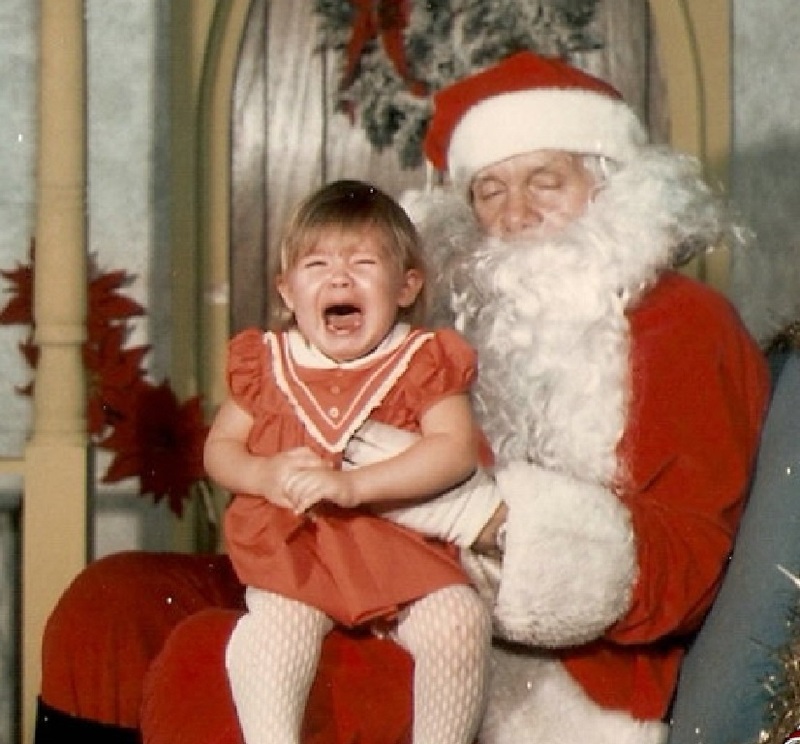 Once a year, Santa dares to make the judgment call that nobody else is willing to make. 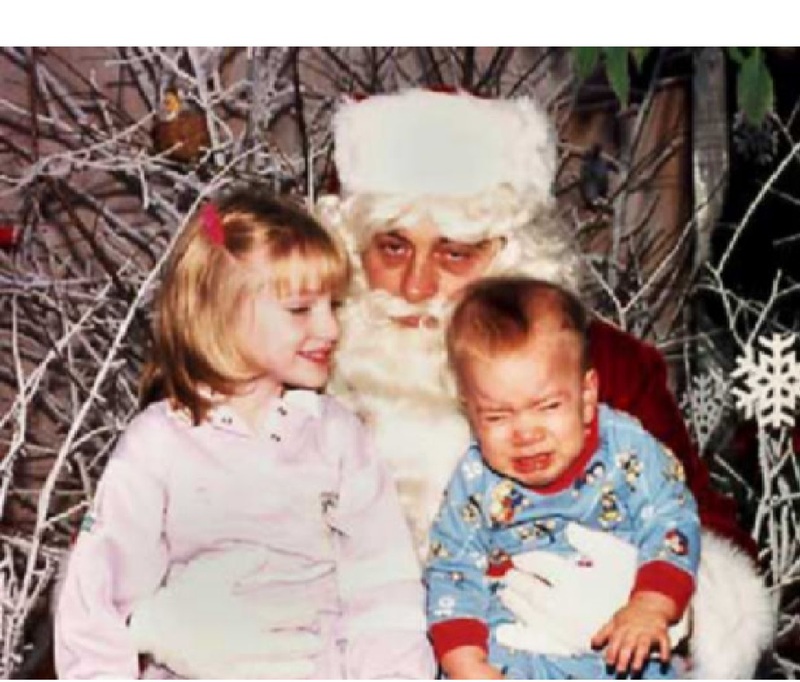 Santa doesn’t support the American notion that kids should be rewarded for simply showing up. In Santa’s meritocracy everybody is not a winner. They gotta bring some virtue to the table to get the good stuff. As it should be. 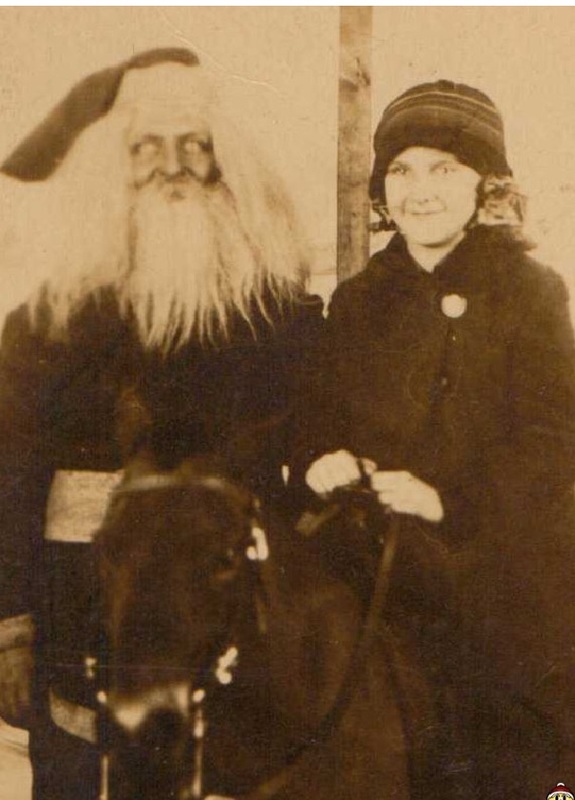 The following photos gives you a look at the diversity of Santa. He is truly a renaissance man of the highest order. Convict Santa just got out of prison and doesn’t mind going back. Just give him your cookie, Billy and everybody will be fine. Gee…Androgynous Santa wears the same color of lipstick as his fishnet stocking wearing elf. Nice. 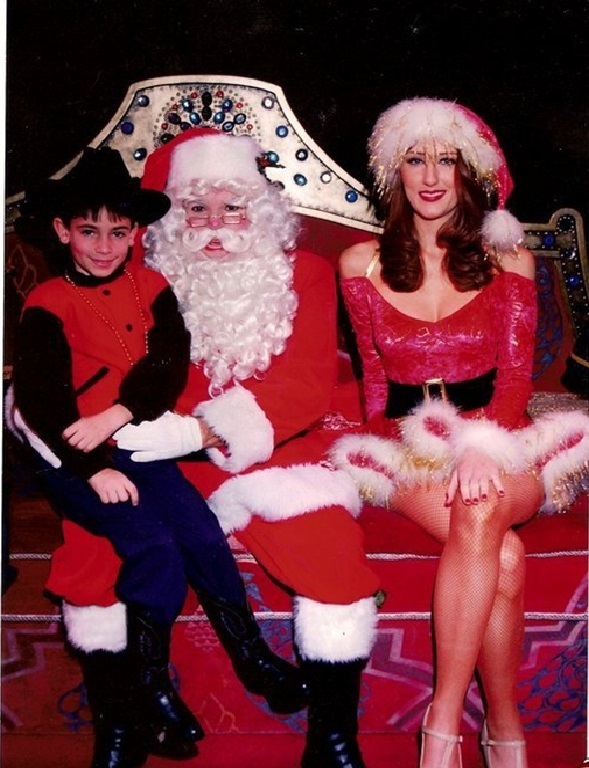 The little buckaroo on his/her lap needs to know that real cowboys don’t wear boots with sweatpants or Santa’s lipstick. Sally is happy that Walking Dead Santa gave her a donkey for Christmas. Ride away Sally. Santa will eat you and the donkey!! 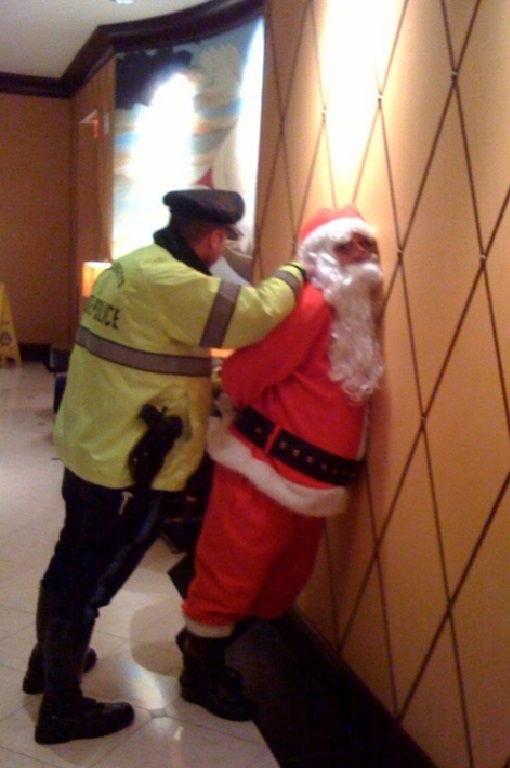 Hung over Santa is wishing he was still wasted. 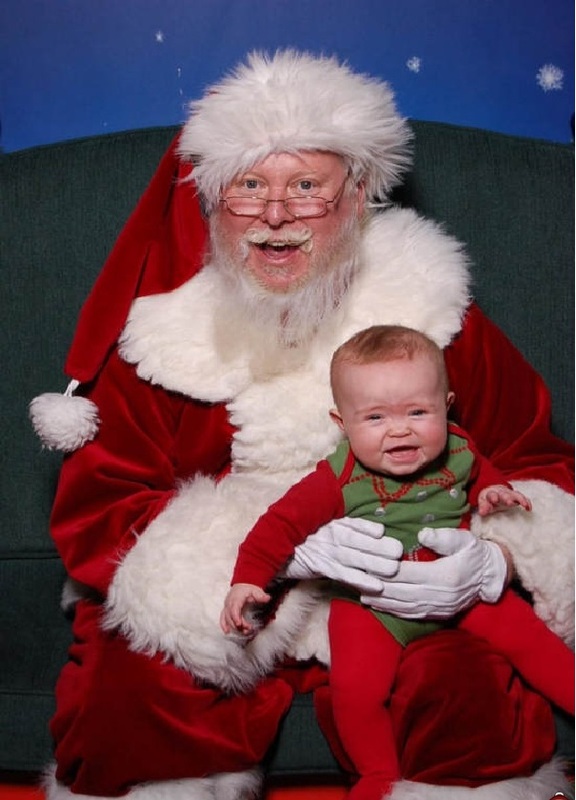 Little Bobby’s crying is creating some serious discomfort for the usually Jolly Old Elf. Desperate times call for desperate measures. Even though Timmy is on the naughty list, Santa will make an exception and cough up a bike. 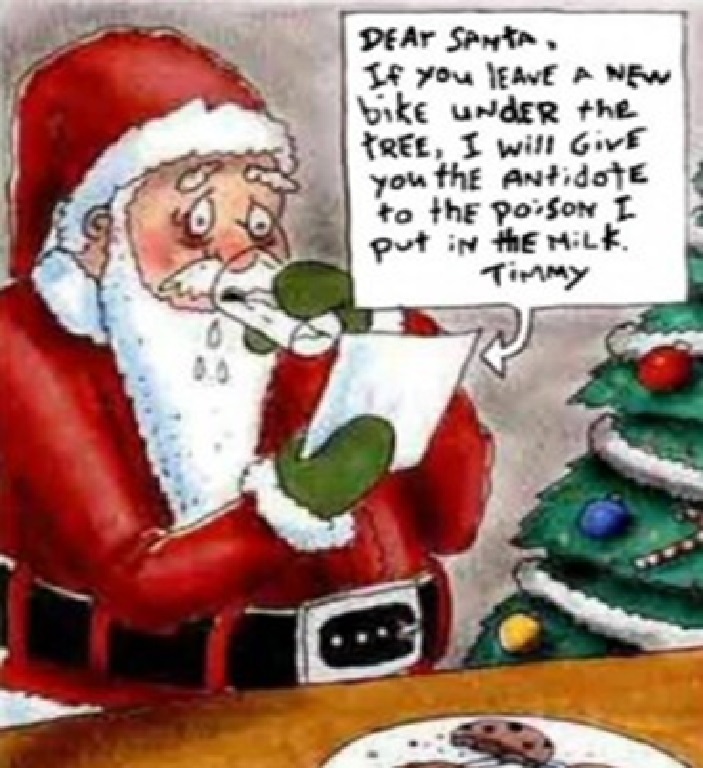 Santa is not immune to extortion. Oh my goodness. Alien Santa!! I thought Arnie killed him in Predator. Apparently not. 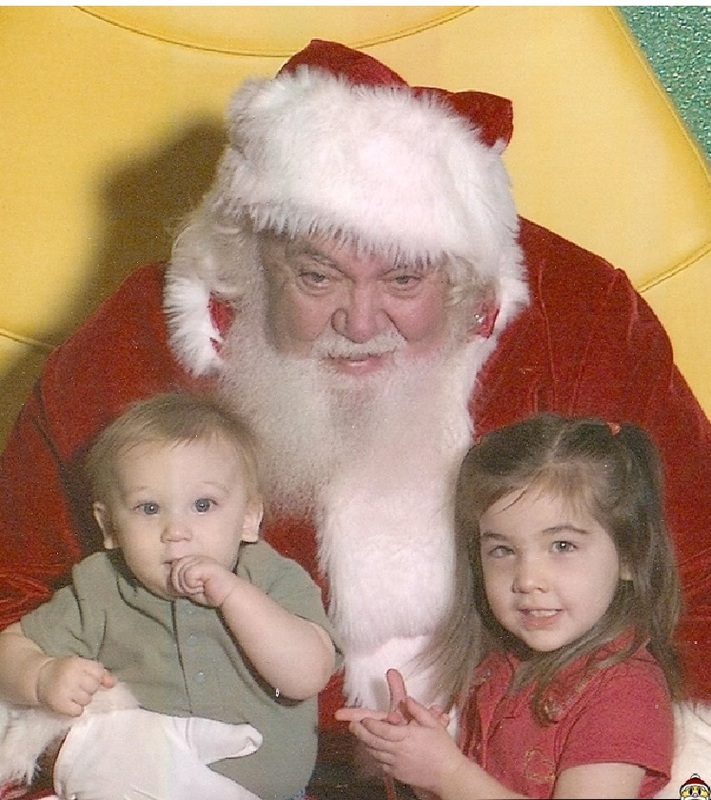 He’s back as Santa in the suburbs and ready to feast on some children in Tar Heel blue. Alien Santa hates the Tar Heels just like the rest of us. Grandma got run over by a reindeer? How about the rest of the story? Hammered Santa hit and ran over Grammy…because she was wearing Tar Heel blue. The kids are still happy to see him. Santa promised them a better Grammy this year…a Gamecocks Grammy. 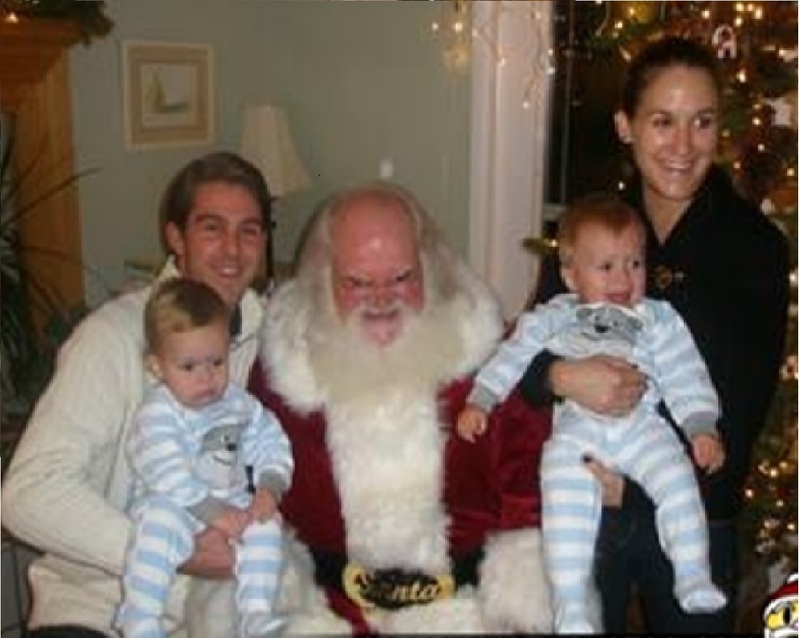 This is pictorial evidence that Santa hates you. 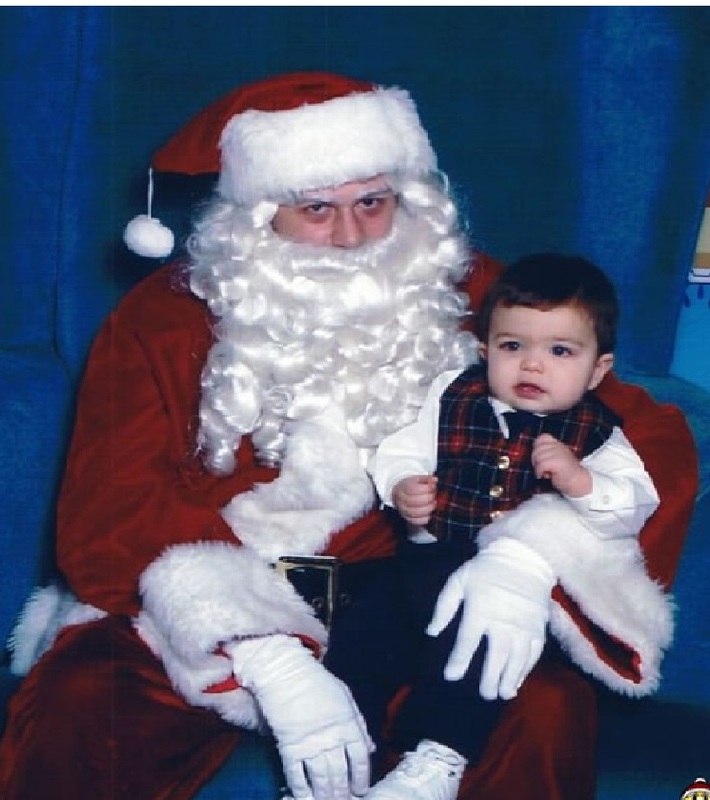 It’s not just the kid’s plaid vest driving Santa to this level of contempt. He is recovering from two black eyes he got in a bar fight in the North Pole. 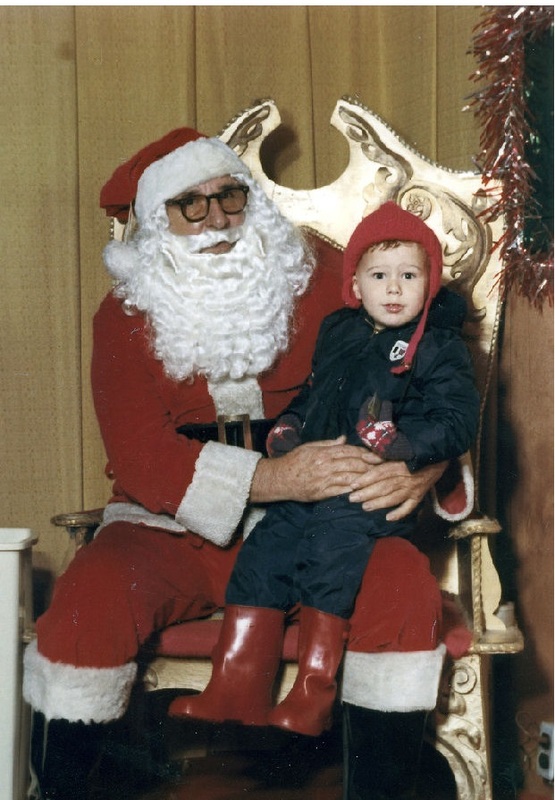 So what’s the deal with Junior Soprano Santa? I mean, Woody Allen Santa? I mean Henry Kissinger Santa? This kid is ready to run out into the storm in his rubber boots and snow suit. 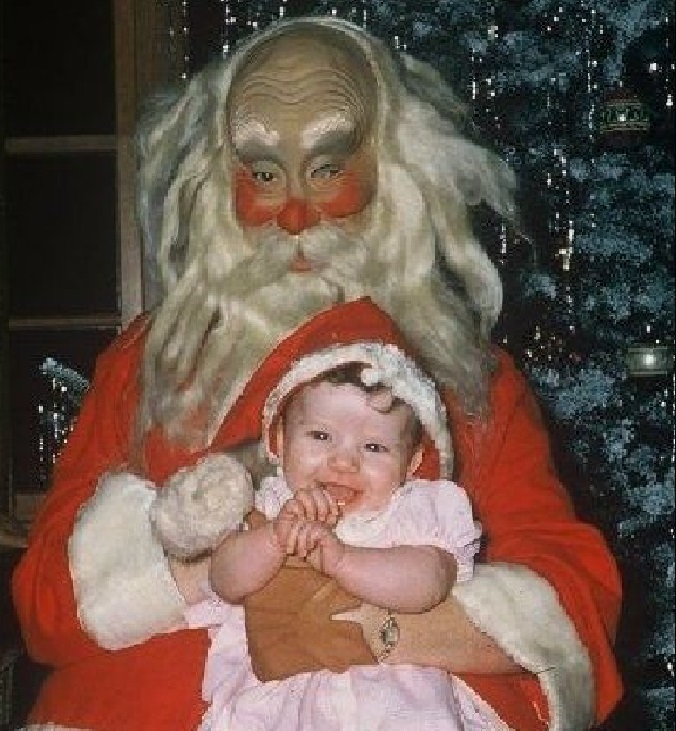 Buddy Holly Santa will track you down and hurt you. 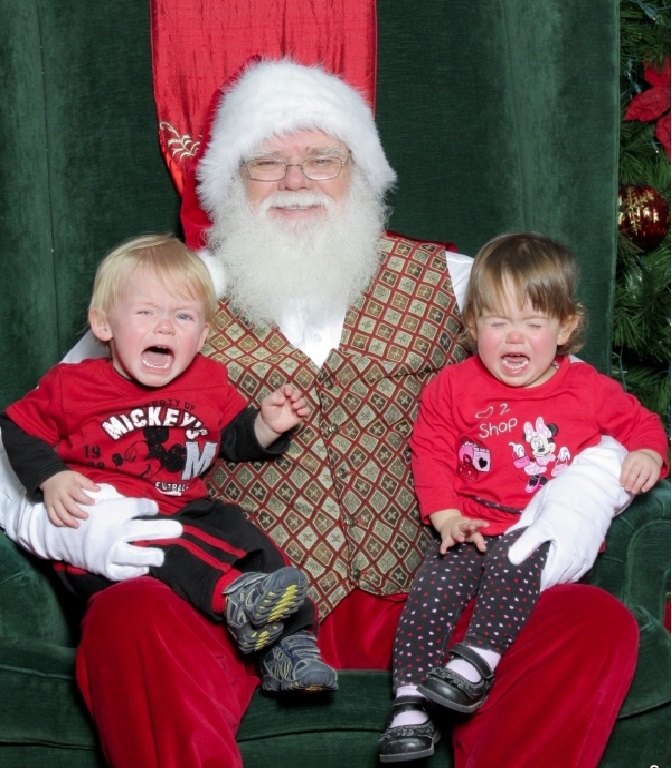 The prequel to The Matrix: Morpheus Santa fails in his first attempt to recruit tank top Neo to lead the resistance. Gotta come up with more than that bag of goodies, Morpheus Santa. I don’t know what to say about this one. Neither does Santa. 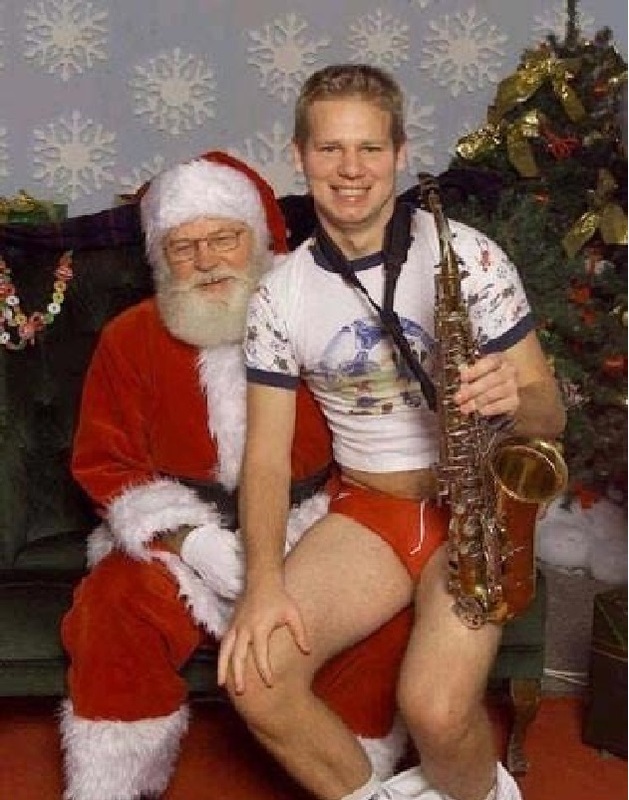 Crazy Pervert Santa is waaaaay too happy about a young Bill Clinton asking for his first pair of pants. 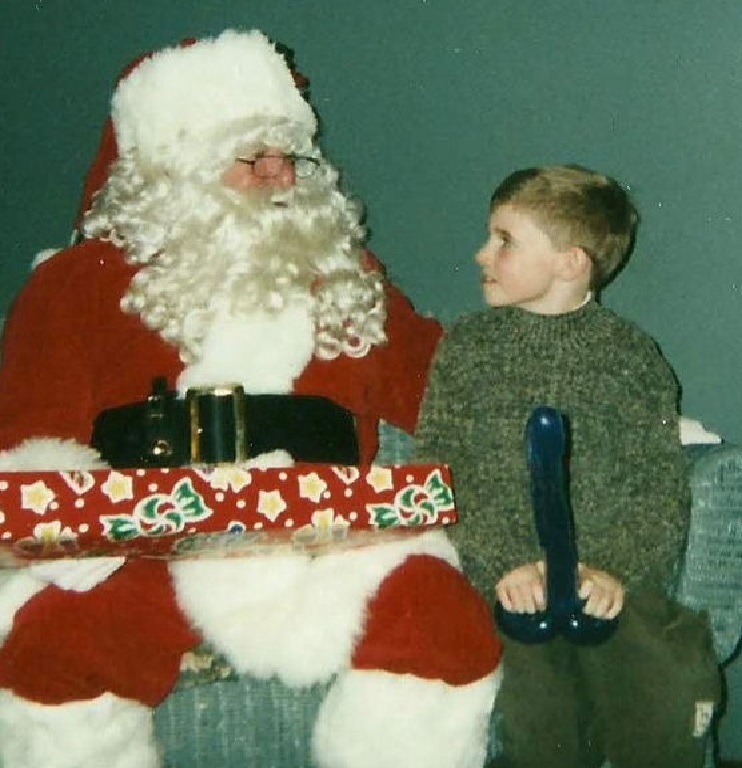 No, Santa…this is wrong. So wrong. 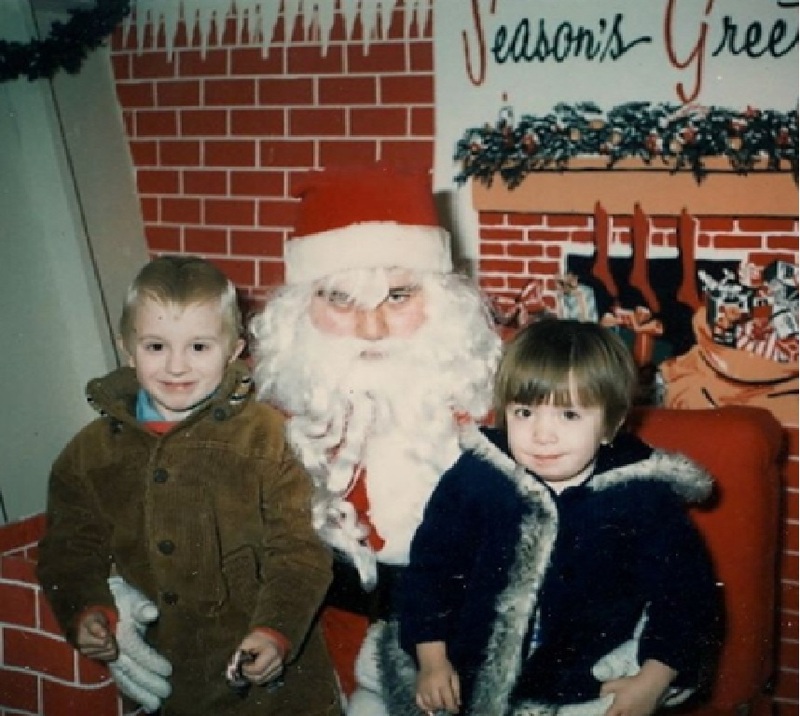 Goodness sakes, how does this happy little tyke not feel terrified by Psycho Red Cheeks Santa? It is a scary thought but…maybe her parents are even weirder looking. Let’s hope not. Ready-to-Puke Santa is fixin’ to blow groceries into Cindy’s hands. She just asked for a “scarf for mommy” but he thought she said, “Barf salami”. Oops. 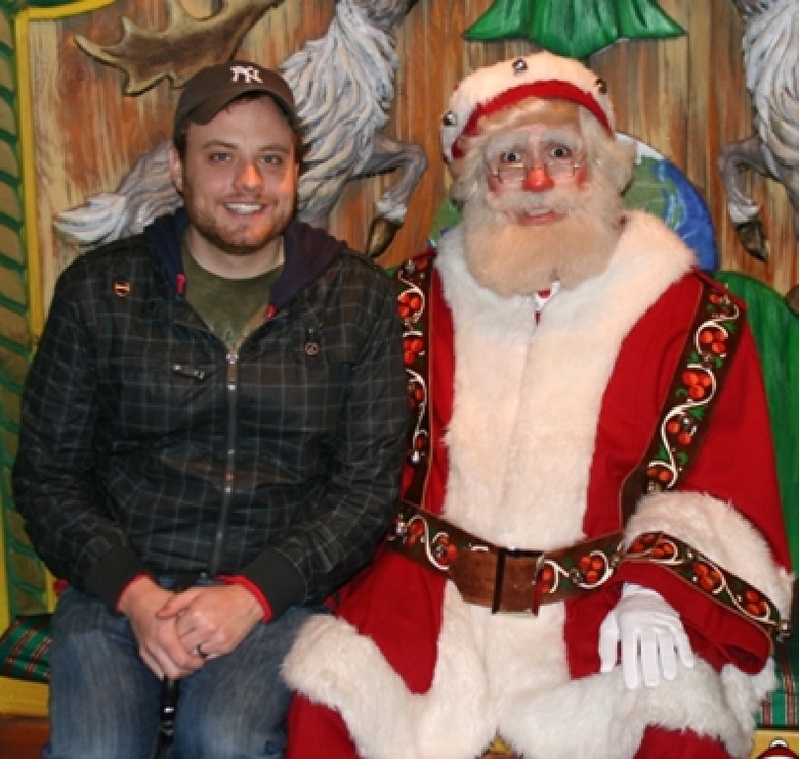 This Yankees fan just asked Santa to make all the evidence of A-Rod using performance enhancing drugs to go away. 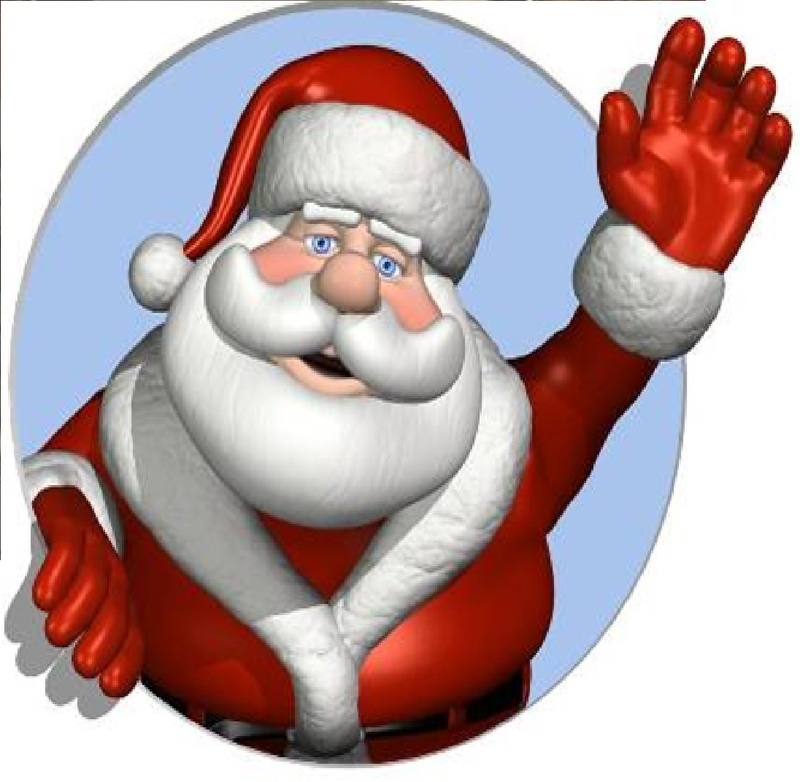 Oops, he didn’t notice that Santa’s red and white suit is a modified Red Sox uniform. 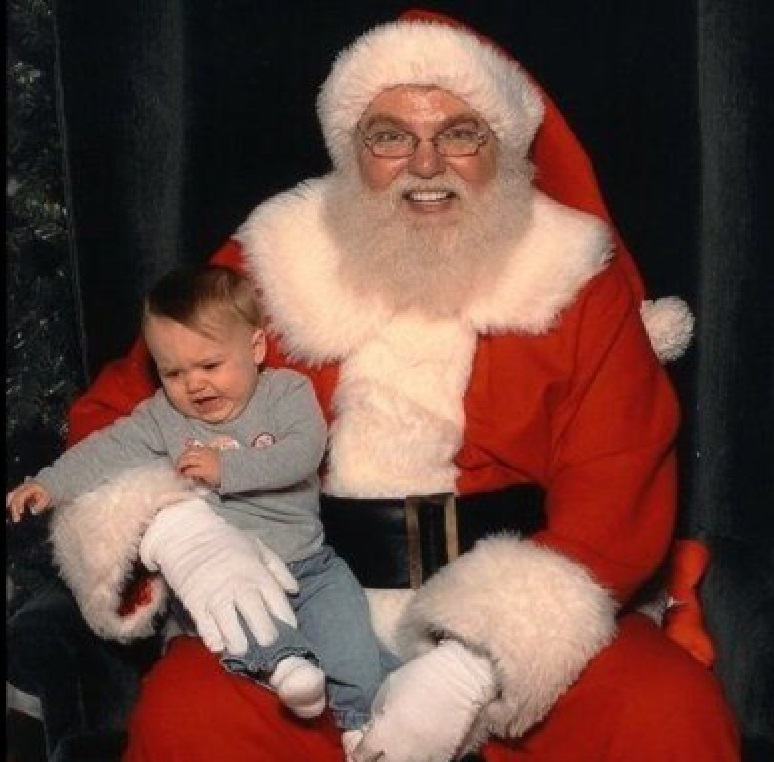 Which explains that horrified look on Santa’s face. Yikes!!! Richard Simmons Santa is terrifying to everyone but frumpy middle aged housewives. This little girl is horrified by his tiny candy cane striped shorts. 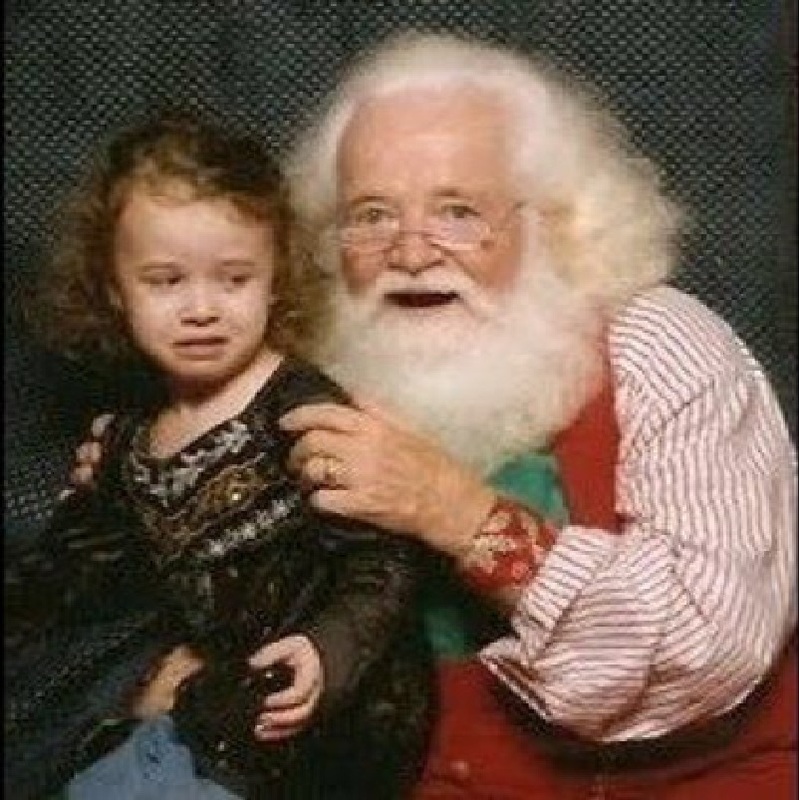 Little Suzi is pretty freaked out about sitting on Dead Santa’s lap. But really…what could she expect at the Dollar General? 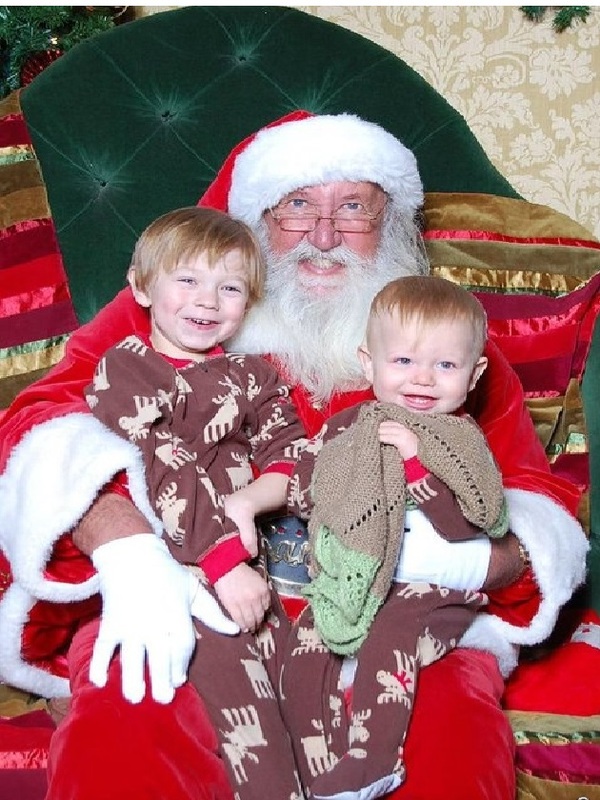 Go to the mall if you absolutely must have a living Santa. Uncle Sy from Duck Dynasty is really Santa? Disturbing even to baby Adolf Hitler. Yes, that vest is scary for children and all living creatures. The photographer is also screaming at this point. 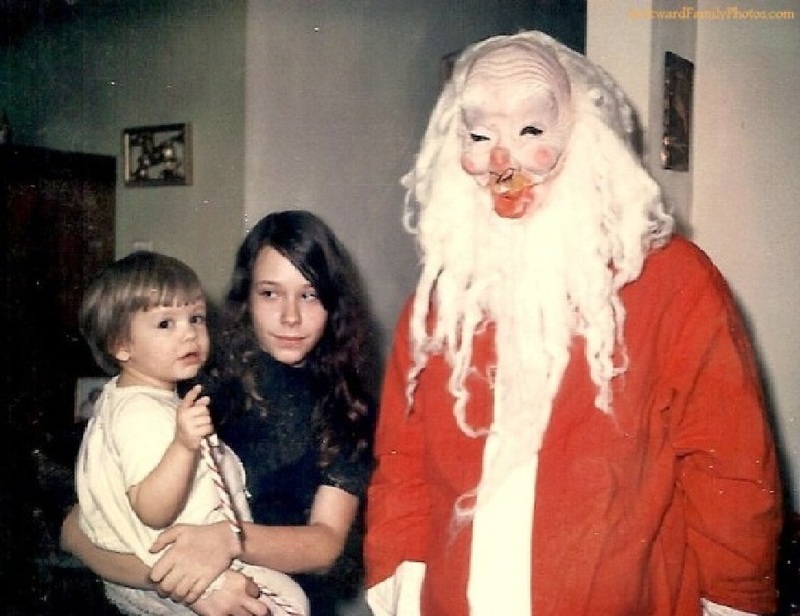 Santa is immune to ugly Christmas vests and sweaters. Beware of Zombie Santa. He’s one of walking dead with half his face eaten off. 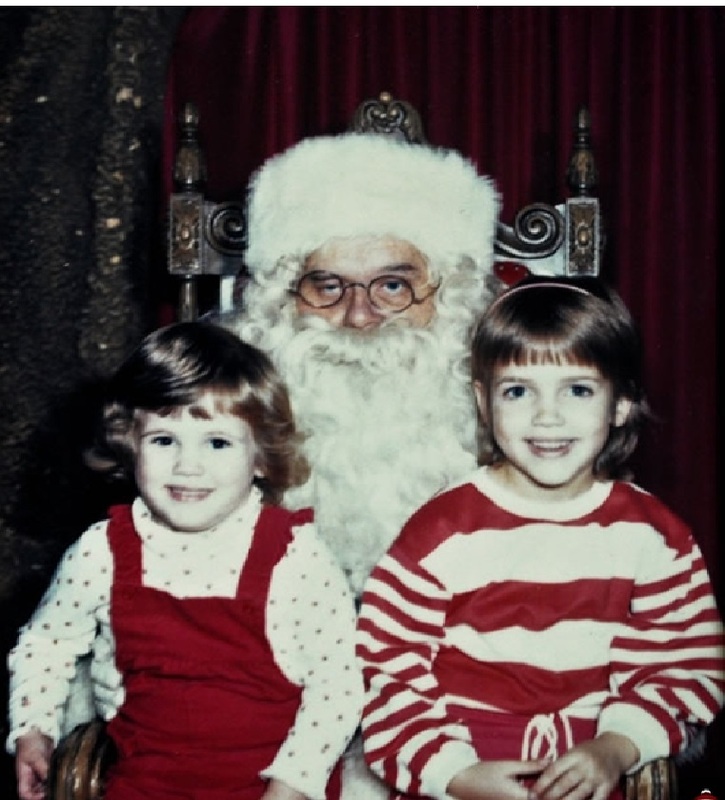 Little Suzie needs to stab him in the eye with that candy cane. Better do it now Suzie. He looks hungry. 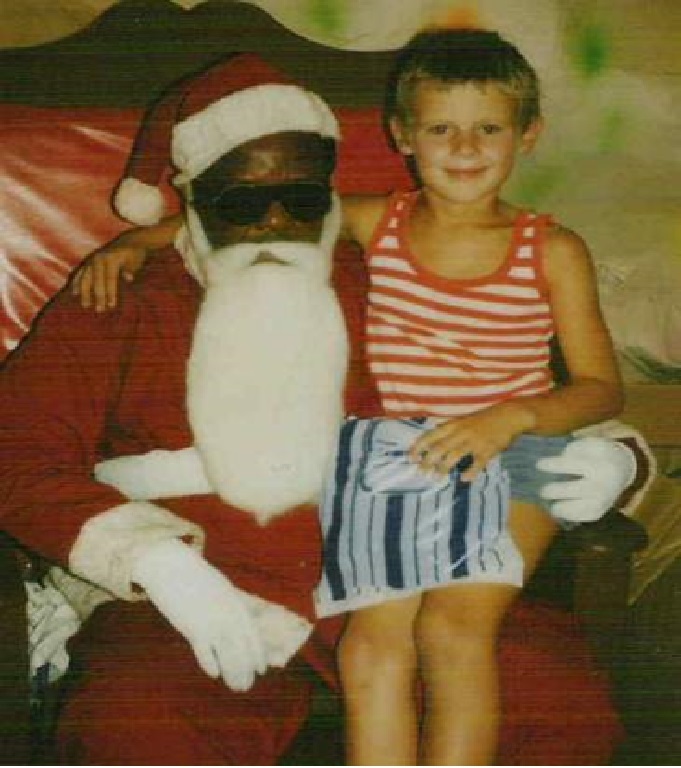 I think we all feel safe with the idea of Mr. T Santa coming down our chimneys with toys. 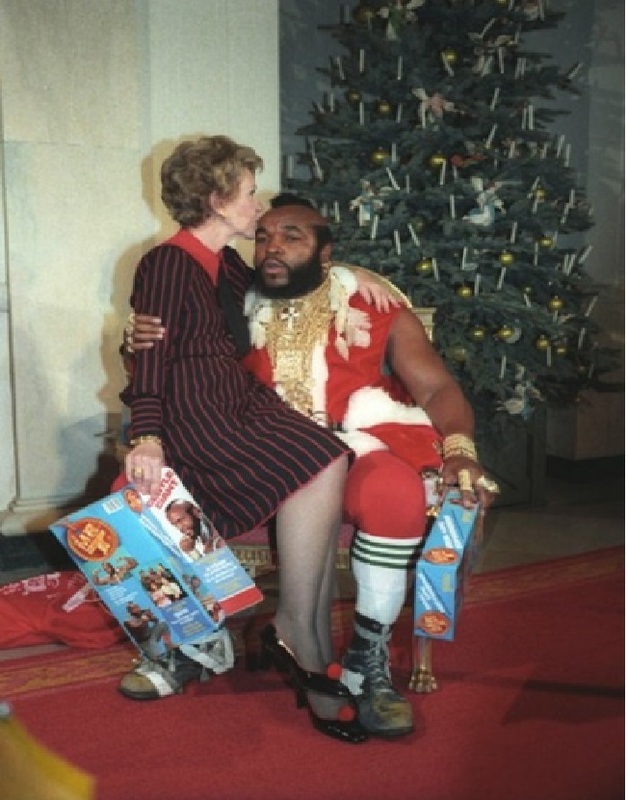 If Nancy Reagan is good with him…so am I. Have a great Christmas, y’all.